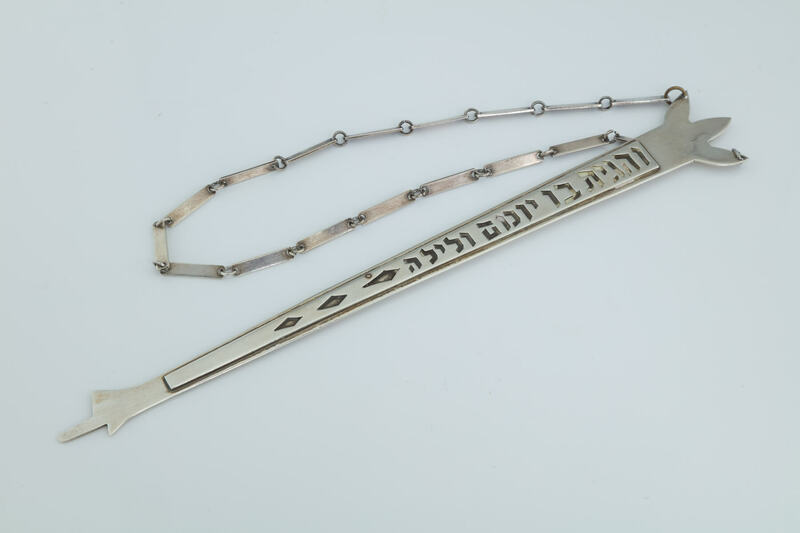 A STERLING SILVER TORAH SHIELD AND MATCHING POINTER BY BIER SILVERSMITHS. Israel, c. 1968. Modernistic is style with cut out Hebrew wording indicating that the Torah is the tree of life. Shield 9.7” long, pointer is 9.4”. Both inscribed with original donor information to 1968. Handmade link chain.